It’s a new year and time for another #ue4jam! Unreal Engine’s quarterly game jams brings developers together for five days to craft a unique game, putting their creative and technical abilities to the test. Each submission is eligible for prizes from our amazing sponsors. Here are some resources that will help you get prepared for the Winter #ue4jam. Check out Tom Shannon's presentation on Game Jammin With UE4 on our livestream! Looking for a team? Want to start your own? Head over to our Crowdforge.io page for some team building. SideFX is offering a FREE 2-month Houdini license to all 2019 Winter #ue4jam participants. These won’t be available once the jam gets started, so be sure to sign up for your license today! Assembla will give all participants of the #ue4jam access to their platform for game development teams to build iterations of their game using their Perforce and SVN repositories. As a cloud version control provider with PM tools built in, Assembla is an effective asset to any gaming developer, and we are excited to watch Assembla’s continuing emergence within the game development community. To get access to the Perforce server, send us an email that you will need access and your team's email addresses. Please also check out tutorials on using Assembla and Perforce beforehand. NOTE: Repositories will be deleted 14 days after the jam concludes. Save your files locally to ensure they won't be lost! Sign up with a free account at GameTextures.com for 12 free materials from the GameTextures.com team! Need access to a sound library? Soundly has you covered! You'll get full access to Soundly and its massive sound effect libraryduring the jam. Enter promo code pUE4JAM after installing to get started. 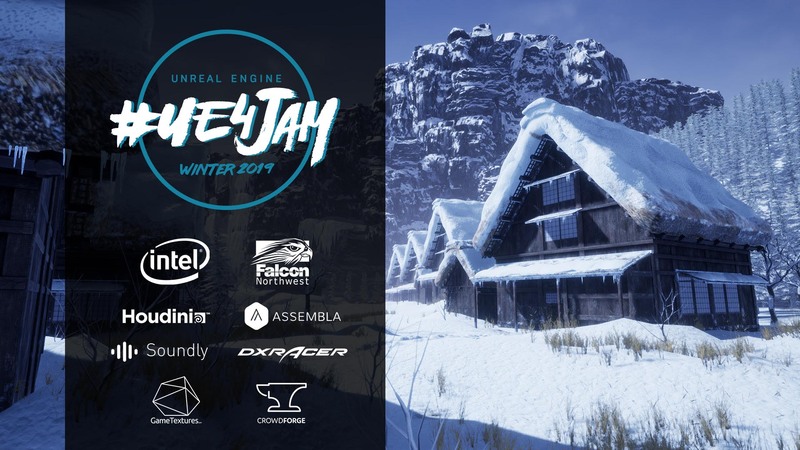 Chat with other jammers over at the Unreal Engine Winter #ue4jam forum thread. Work alone or with a team (up to 5 members total) to make the most incredible project in Unreal Engine 4 based on the given theme and submit before the deadline. The game must include custom gameplay that exceeds the gameplay found in Epic Games’ starter templates. Submissions must be packaged for Android, iOS, Windows or Mac OS. No full, unpackaged projects. XR projects are accepted. Android games can be distributed via the Play store as well. A link to gameplay footage to be included in our highlight reel on the Winter #ue4jam results livestream, if you so desire. Please keep your video between 30-60 seconds. NOTE: In order to submit your game to Itch.io, your .zip file must be UNDER 1GB. This won't affect most projects, but please be mindful of the size of your game once compressed. If your file is more than 1GB, you may utilize the Butler tool to upload your files to Itch.io. More info on that here. The Winter #ue4jam will feature a Grand Prize raffle, plus additional prizes for the finalist teams and special category winners. We judge submissions for their visual aesthetic, unique use of the theme, and gameplay on a 1-5 point scale. The top 3 teams will be declared our finalists. All jam participants will be entered into a raffle to receive one of 10 one-month subscriptions to GameTextures.com. 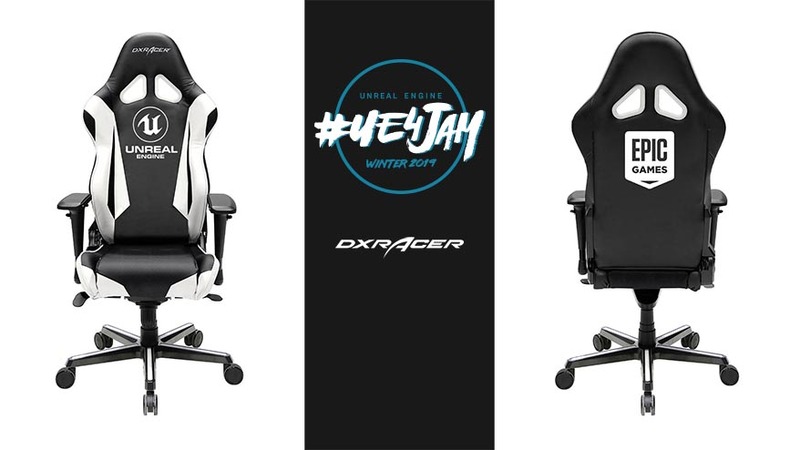 All jam participants will be entered into a raffle to receive one of three Unreal Engine-branded RV001 gaming chairs from DXRacer. Many thanks to Intel for sponsoring the Winter #ue4jam and supplying our community with rad prizes! I encourage you all to check out their Game Dev Program at https://software.intel.com/gamedev and sign up. They'd love to provide your team with resources to help you succeed -> Get ready. Get noticed. Get big. an Unreal Engine swag pack per team member, including a Winter #ue4jam t-shirt. "Friends And Foes" for the best shared screen multiplayer game. "The Tiny Award" for the best game that comes in under 100mb. "Something Something Reality" for the best game that is either an Augmented or Virtual Reality (XR) experience. 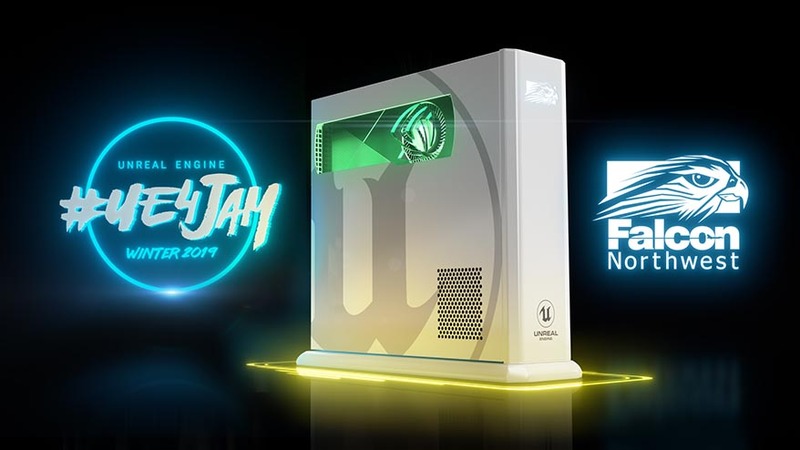 Every individual from the three finalist teams will also be entered into the Falcon Northwest Grand Prize Raffle, where only one lucky person will receive the Winter #ue4jam’s biggest reward; a custom Unreal Engine-branded Tiki desktop PC from Falcon Northwest. Are you on Twitter or Instagram? Show off your work using the #ue4jam hashtag! Carry your Knight to victory by any means! Demolish a millionaire's estate with a bulldozer. Collecting flowers has never been this bloody! Hosted Multiplayer Winterjam Entry Server is up, come play! War against demons through bonds of love. Divorce is due! collect as much valuables before your spouse does! Infiltrate a AAA game compnay to steal some classified documents using your time altering powers. Have you ever wanted to visit a tiny village? Do you have some questions you need answered? Valentine is back to kill again! This time in the 3rd dimension. Shoot your haters with love to make them a better person. Two bound lovers must test the strength of their bond in this conflict puzzle game. Stop the hero from taking your lover. Far ahead in time, yet your human insticts still prevail. Kevin, God of War. Also, Love. Compete against your friends in a mad scramble to fill chocolate boxes before time runs out! Strut your stuff, steal your treasure, strike your rival. 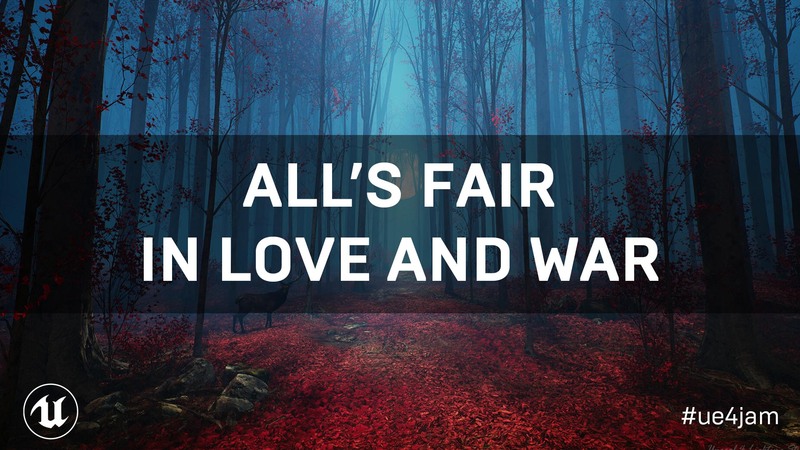 All's fair in love and war. Finish the game as quickly as you can, The obvious solution might not be the fastest. Ready for a ride? Time to spread some love! Side-scrolling game about Cherubs locked in mortal combat with Cthulhu and his minions. I saw it first, so I will buy it first, will I? Wuffels is under attack from snowballs and bunny hoppers. Protect her! Small Semi-Roguelite FPS game made for Winter UE4Jam 2019. A "boss rush" game made for the Winter #UE4Jam, has a Coop and a VS Mode too. War on a love field! Help boy get a girl. Turn based hero game inspired by darkest dungeon. A small scale tower defense game where love can overcome all. A top-down shooter game where you have to betray your allies to win. [ VR ] You're fighting in the cold war of the future as Cupid while you attempt to get back what is yours. Throw household items at each other and air your grievances. A short game made for the 2019 Winter #ue4jam. The cubes are at war! What better time to make a profit than a war!